The moment you walk through the door, you will know you've arrived at a very special place.The entire home is loaded with taste & sophistication. Gorgeous Brazilian cherry floors through out the first floor.Bedrooms consist of two guest bedroom suites with full bathrooms. The luxurious master suite has its own private fireplaces and custom walk-in closet.The master bathroom offers custom granite counter tops with duel sinks, stand alone soaking tub & deluxe shower.This dream home is complete with a sprawling basement level that includes powder room, gym, custom bar and entertaining area with fireplace. A Elevator that services all levels Beautiful over sized moldings throughout with vaulted ceilings. Entertainer's backyard, 2.5 car garage and Fenced in yard. 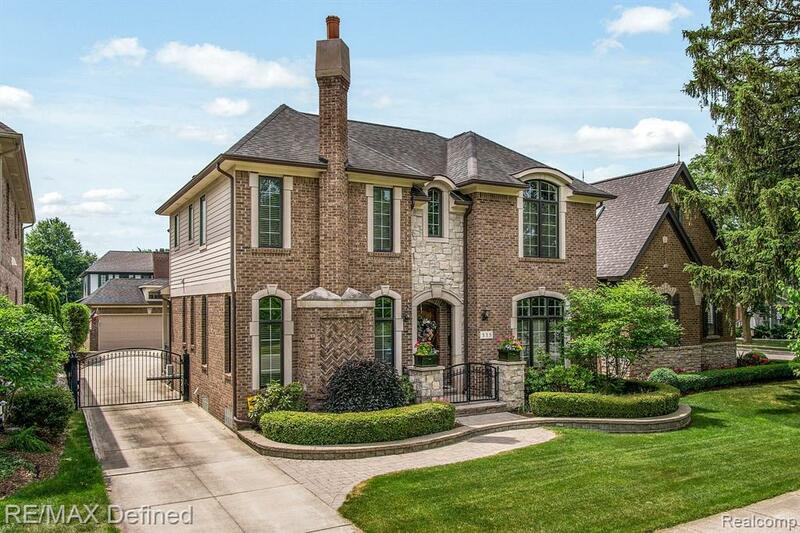 Enjoy a walk to Paint Creek Trail,Rochester Park & all that downtown Rochester has to offer.This is truly an exceptional Custom home offering the ultimate in luxury and elegance in this most coveted Rochester location. IDX provided courtesy of Realcomp II Ltd., via Key Realty and Realcomp Ii Ltd, Copyright 2019 Realcomp II Ltd. Shareholders. Real Estate listings other than those of Key Realty are marked with the Broker Reciprocity logo and detailed information about them includes the name of the listing brokers. Information deemed to be reliable but not guaranteed. Any use of search facilities of data on the site, other than by a consumer looking to purchase real estate, is prohibited. Last updated on 2019-04-23.